What a fabulous backdrop for that butterfly. This is truly beautiful! gorgeous card. Thanks for joining YCU. Wow, this card is gorgeous! I love the colors, the embossed background, and of course, the buttons! Thanks for playing along with us at Young Crafters Unite! Oh I love this! 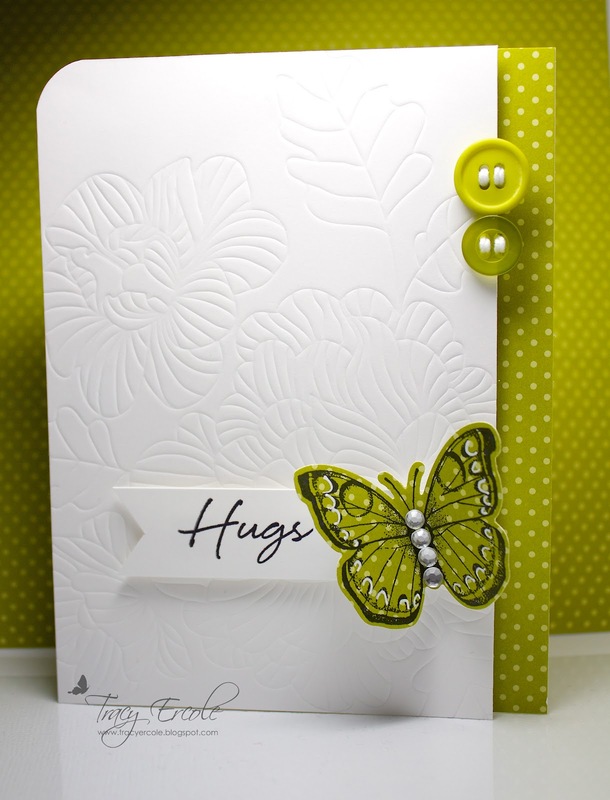 The embossing on the background and that pop of bright green...it's gorgeous!